With over 20 locations, WineStyles Tasting Station is a national wine boutique and retailer simplifying the wine shopping experience by catering to the wine drinker who is looking for a simple and easy way to find the perfect bottle. Designed like an Old World wine cellar, each location is organized by eight different style categories instead of wine varietals or regions. Demystifying the selection of the right bottle of wine, these taste profiles include Crisp, Silky, Rich and Bubbly for whites and Fruity, Mellow, Bold and Nectar for reds. In addition, each bottle is accompanied by a description listing the wine’s characteristics, flavors and suggested food pairings. Each WineStyles Tasting Station carries wines ranging from regional and local wines as well as unique, hard-to-find wines from small and large vineyards from around the world. 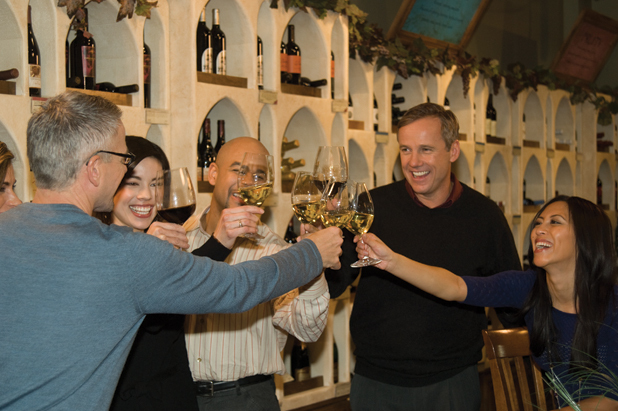 Each store features 250+ revolving world-class wines and most are priced between $10 and $25 per bottle. To find the location nearest you, please visit our store locator. Cheers!